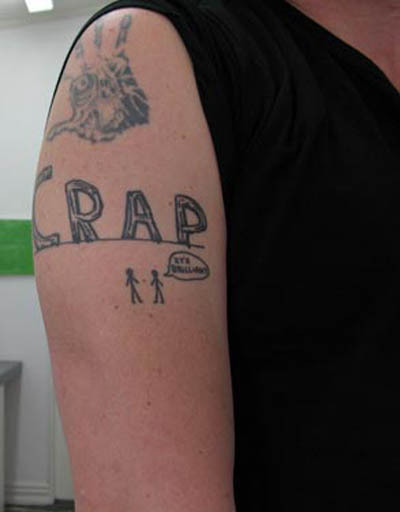 do you have a tattoo of a shrigley image? Love this! David Shrigley, British artist who was just shortlisted for the 2013 Turner Prize is hilarious. 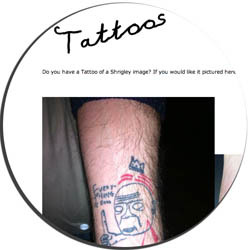 Look at all the people who have a Shrigley tattoo, as showcased on his site.